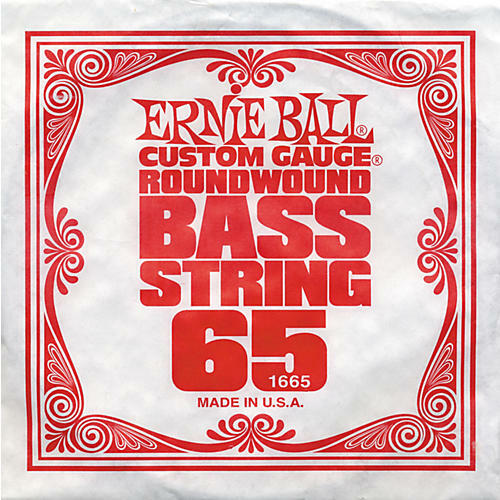 Ernie Ball Slinky bass strings are roundwound for maximum clarity and serious punch. The list of endorsers for Ernie Ball Slinky bass strings reads like a who's who of modern rock bass. Made in the USA with specially formulated alloys for long life and maximum vibrancy. Ernie Ball is the pioneer of rock and roll guitar strings. Blink 182, Jimmy Eat World, and Switchfoot are on the long list of Slinky bass string players.